There is an image that has been burned in my brain ever since I was a boy. The image came from this 2 record set, which of course, I still have proudly displayed in my office. 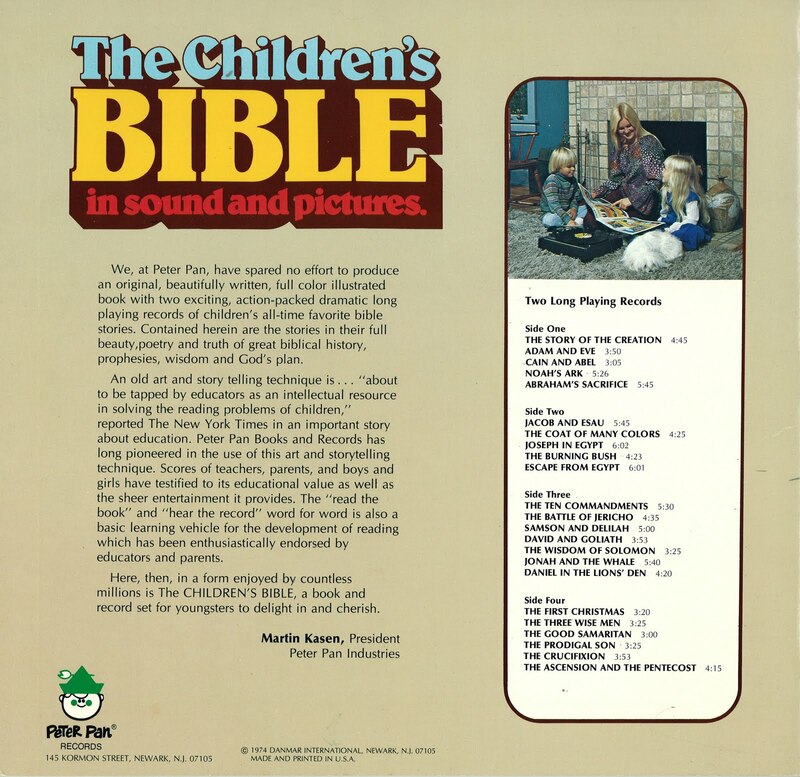 The Children's Bible in Sound and Pictures includes about 2 dozen of the more well known Bible stories from the Old and New Testament. The illustrations are very well done, and though the stories were mostly paraphrased, they are surprisingly accurate. 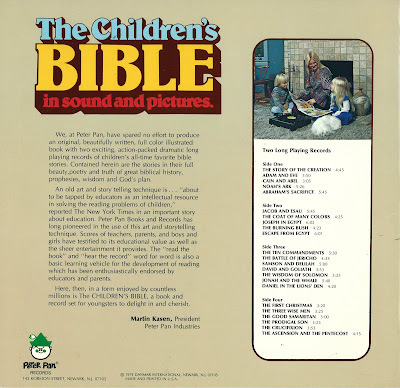 The only thing I remember from reading and listening to these records, over 30 years ago now, is from the story about Noah's ark and the flood, particularly, the bottom-center frame on the page above. I've enlarged it below. This image of the ark floating away in the stormy flood waters has stuck with me all these years, primarily because of the two people in the foreground of the picture, with their hands waving helplessly in the air as they are being consumed by a violent, wrath-filled, world-destroying flood. And so He did. He blotted them out. With a lot of water. And it is illustrated in this frame. And it is still etched in my mind. I shared this very story and this very picture (I enlarged and printed it on a small poster) with the kids in our Backyard Bible Club this week, as we discussed the great flood. I explained how even though everything was "good" after God created it in six days, it very quickly got bad. 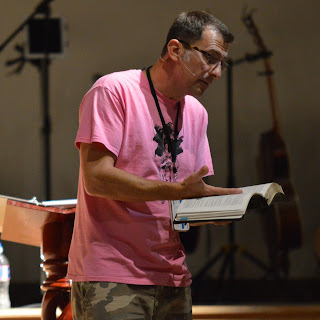 In just the 3rd chapter of our Bible we have the Serpent entering the scene and successfully tempting Adam and Even into sin, immediately changing the whole world forever. Chapter four gets even worse with the first murder - between brothers! After a list of generations in chapter five, the stench of the fall grows even fouler, as described in the verses above. This is why the flood was necessary. God could no longer allow sin to run its course. I didn't understand, back then, that I was one of those people in the frame, left outside of the ark to perish. In fact, knowing what the Bible teaches about sin, mankind, and my own evil heart and life before Christ, I'd speculate that those people aren't waving and crying for help. 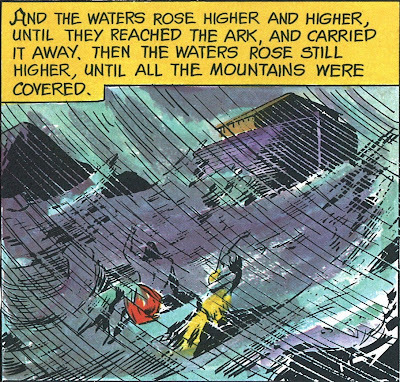 I think they're shaking their fists and cursing Noah, his family, his boat, and his God. 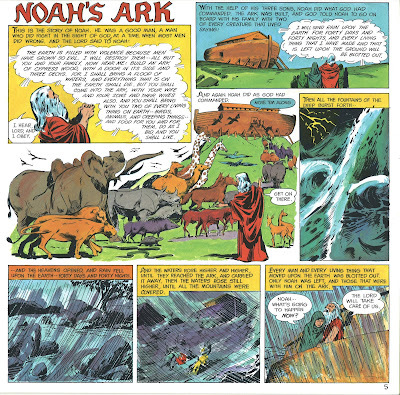 I didn't understand, back then, the great act of mercy that was shown to Noah and his family. I do now, because I have been shown grace and mercy from my Creator. This grace and mercy saves me from the punishment of my sin - the flood of God's wrath that awaits those who reject Him. I am safely hidden in the greater Ark which is Christ. I have taken refuge in Him, from Him. 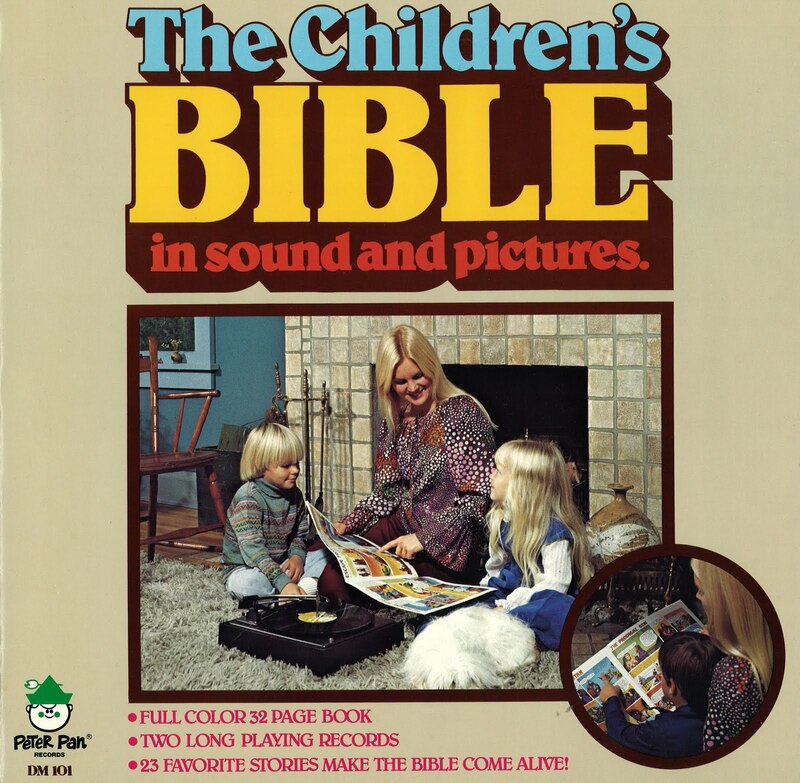 I had this growing up and loved it. My Dad bought one for each of his 7 kids to share with their kids when they had them. I am looking forward to share this with my daughter. I can remember each store and waiting for the signal to turn the page. This was by far my favorite book to read. Such precious memories!